There has always been recreational drug use, and always will be, whether legal or not. And as there’s always going to be those who abuse recreational drugs, the social cost will always outweigh the financial gains. The real question is, who should get the profit? Drug use and human society have always gone hand in hand. Check your history books and your Bible! This drug use falls into three categories: Medicinal, Ritual, and Recreational. We are concerned here with the use and abuse of recreational drugs only. We are primarily focusing on marijuana and alcohol. Colonial era America was not known as the Wild West for nothing. Every town had it’s bars which served alcohol, hosted gambling games, and housed a brothel upstairs (at least so Hollywood tells us). A perfect storm for trouble. As the US progressed into the early 20th Century and cities and populations grew faster than regulations, alcohol related violence spiraled out of control. The legal “solution” was prohibition. Of course, despite being well intentioned, prohibition didn’t work: It pushed alcohol into the underworld of Moonshine Runners and Mobsters. People continued to drink, and the gangsters reaped the profits and grew ever richer and stronger, bribing officials to turn a blind eye. With the end of Prohibition, drinking came under the watchful eye of legal regulation. The Mob got Vegas and the trash collecting business, and the average law abiding citizen could enjoy a drink or three without fear of arrest. Many thousands of people are employed in the alcohol manufacturing, sales, and service industries and the Government gets it’s taxes. So why should any other recreational drug, like marijuana for example, be any different? This is not a “happy ever after” story. Along with recreational use, there is inevitably abuse. People still drink too much, get in their car, and someone dies as a result. Before the Motor Car, drunken use of Horse and Carriage was the cause of injury and death. Angry drunk men still take their frustrations out on their families, and teenagers still die of alcohol poisoning. While legal regulation has seen an end to the excesses of the Wild West, (or the New Zealand equivalent in Korerareka) substance abuse is still with us and always has been. This is the TRUE “Social Cost” of recreational drug abuse: If you value human life more than money, (as you should), then even a single death outweighs the monetary gains. It seems that no matter what the circumstances, there are always going to be substance abusers. Learn from history! Drugs aren’t going away regardless of who is in control of supply. Question is, who do you think should profit? Prohibition did not work for alcohol. It does not work for marijuana. Despite being an illegal commodity here in New Zealand, thousands either smoke it or have done so at some point in their lives. The profits, for the most part, go to gangs and criminal enterprises. I don’t know about anyone else, but I suspect gangs are more inclined to place profit ahead of social responsibility. No matter what one thinks of the Government or The System, at least the tax gained from legal business is more likely to be used in an endeavor to minimize the social cost of abuse and provide practical help for chronic abusers. If you aren’t happy with how the government is handling matters, you have the power to use resources such as petitions, protest, and media involvement to make a difference that can be heard. Anyone fancy petitioning a gang connected drug dealer? Thought not. Ultimately, it is important to know the difference between legalization and decriminalization, and the difference between a “Wild West” free-for-all and sensible regulation. “… broadly then, legalisation translates as using, producing, growing, transporting, or supplying a substance as a commodity like any other, with restrictions attached. It doesn’t mean lawless, or a free-for-all. “We don’t want to see cannabis sold from corner dairies. We don’t want a free-for-all like we’ve had with tobacco in the past. 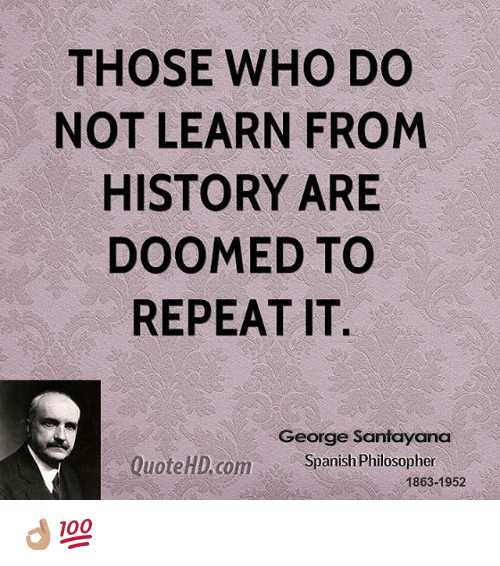 In other words, let’s learn from history, not repeat it. Legalization or at the very least, decriminalization, in conjunction with sensible regulation, is the way forwards.